A funeral service to honor and celebrate the life of Russell Ramsey King will be 11:00am Tuesday, February 12, 2019 at Schaudt’s Tulsa Funeral Service Chapel. Russell passed away peacefully on Wednesday, February 6, 2019 in Tulsa, Oklahoma at St. Francis Hospital, he was 73. Russell was born in Cushing, Oklahoma on July 13, 1945. He was preceded in death by his parents James Carlton (Sr.) and Thelma (Koble) King and his brother, James “Happy” King (Jr.). 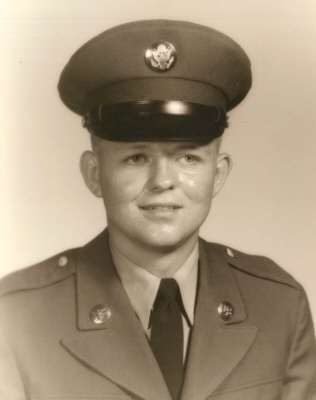 Russell proudly served his country for ten years and was honorably discharged on July 28, 1973. During this time Russell worked diligently to complete a B.S. in Business Administration from the University of Tulsa (’74). From there Russell had a successful career as a NGL trader, Vice President, and drinking-buddy at companies such as Mapco, PG&E, Gavilon, and Ican Energy. Russell was known for his quick smile, intelligence, humor, and overwhelming desire to support those he loved the most – his friends and family. Russell enjoyed cheering on the Sooners, spending mornings playing golf, afternoons taking a nap, and evenings chasing his true love – Deborah. Russell is survived by his wife, Deborah; Siblings, Carleta, Samuel, and Robin; Children, Kimberly and Ken Williams, Katherine Farris, and Russell (Jr.) and Nicole King; Grandchildren, Shyla and Matthew Howard, Tyler and Stetson Cox, Caleb King, Kennedy King, and Wyatt Williams. Visitation will be 5:00-8:00PM Monday, February 11 at Schaudt’s Tulsa Funeral Service. To send flowers or a remembrance gift to the family of Russell Ramsey King, please visit our Tribute Store. "Email Address" would like to share the life celebration of Russell Ramsey King. Click on the "link" to go to share a favorite memory or leave a condolence message for the family.